Philip Moser QC, joint Head of Chambers, is ranked as a Leading Silk in EU & Competition Law, Procurement Law and Indirect Tax by Legal 500 and Chambers UK. He has appeared in every division of the High Court and at every level of the UK and EU Courts. His practice deals with all aspects of domestic and international trade law, including the intersection of domestic and EU law, now encompassing the implications of Brexit. ‘Philip is a hugely impressive and knowledgeable advocate who wins the confidence of judges. He’s both a very seasoned court performer and someone who is good at negotiation and mediation situations.’ – Chambers UK, 2017. The ‘excellent’ Philip Moser QC is ‘a very fine advocate’ with ‘significant expertise in procurement litigation’ – Who’s Who Legal, 2016. ‘He’s exceptional. Judges and clients all think really highly of him, and he’s a very persuasive advocate and a very formidable opponent.’ – Chambers UK, 2017. ‘A great strategist, with a second-to-none knowledge of complex regulatory matters.’ – Legal 500, 2017. Philip regularly handles cases in the UK appellate courts and at the CJEU. He also acts as a Mediator and is listed as an LCIA Arbitrator. A former supervisor in EC Law at Robinson College, Cambridge, Philip also edits the European Advocate and publishes on issues of EU law. ‘A go-to silk whose advice is always focused and creative. Clients always feel they are in safe hands with him.’ – Chambers UK, 2017. Philip Moser QC is also a member of the Northern Ireland Bar. Edenred (Group UK) Limited v Her Majesty’s Treasury and others  UKSC 45, Supreme Court (Public Procurement – outsourcing contract – Tax Free Childcare – material variation – not substantial – contract review clauses – Reg. 72 Public Contracts Regulations 2015); Court of Appeal:  EWCA Civ 326; High Court:  EWHC 90 (QB). Recall Support Services Ltd v Secretary of State for Culture Media and Sport  EWHC 3091 (Ch); Telecommunications – Mobile telephone networks – GSM Gateway – Francovich damages – breach of EU law(appeal case pending in Court of Appeal). Philip Moser QC is joint Head of Monckton Chambers and a leading Silk in EU, competition and procurement law, described in the directories as having “a really, really broad understanding of EU law” and being “a beautiful advocate who is very erudite”. He has appeared before the CJEU in Luxembourg and the Commission in Brussels and in EU law cases at all levels of the English courts. He has given evidence to the House of Commons and the House of Lords EU select committee on EU law, is a former research associate and supervisor in European law at Cambridge University and edits The European Advocate. In recent years his practice has also embraced the consequences of ‘Brexit’. He advises private clients, corporations and the UK Government, including advice on the drafting of ‘Brexit’ legislation. Philip Moser QC has also written extensively on EU law subjects and continues to lecture on EU law and Brexit. Philip Moser QC is ranked as a Leading Silk in Procurement Law by Legal 500 and Chambers UK and is regularly instructed by private contractors, the Government and public bodies in this area. His numerous procurement cases include the first PCR 2006, Reg.47G order to lift a suspension on contract-making and most recently he was leading counsel in Edenred, the first Supreme Court case on variation of public contracts and the first case decided under PCR 2015. Philip Moser QC has a heavyweight competition law practice, having practised in this area since his earliest days at the Bar (as junior counsel in the FEFC Freight Conference case in front of the Commission in 1993) and previously taught the subject at Cambridge. In recent years, Philip has acted in one of the first fast-track cases in the Competition Appeals Tribunal (CAT), XL Farmcare, and is Leading Counsel for the 600+ Claimants in the biggest UK follow-on damages claim (Air Cargo) and for the lead Defendants in the Vattenfall Cable Cartel litigation. He is recognized as a Leader in Competition Law in the Legal 500. Also a recognized Leader in Procurement Law (having acted, amongst others, in the leading Supreme Court case Edenred), Philip often advises on the intersection between competition, state aid and procurement law. Further relevant cases include the Floe litigation (telecoms) and Sockel v Body Shop (injunctions for failure to supply/dominant position). 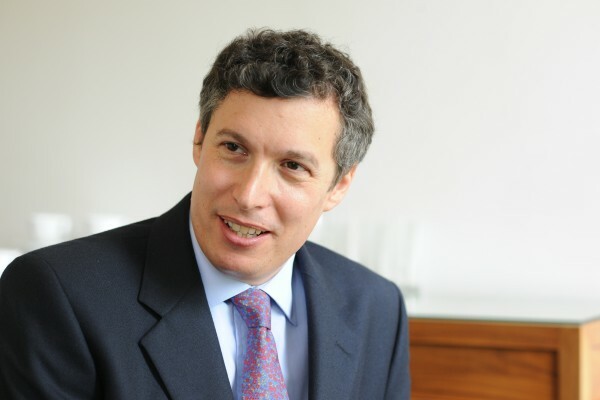 Philip Moser QC, joint Head of Monckton Chambers, frequently acts in commercial matters, usually with an international element, either in national courts (cases for or against multinational companies), mediation (also as Mediator) or international arbitration. Cases include, e.g. : Gestmin v Credit Suisse (see per Leggatt J on value of oral evidence); acting for largest UK telecom company in arbitration; acting for Austrian media company in arbitration against Lloyd’s insurers; contractual disputes (see e.g. on severing provisos: Brand Studio  1 All ER (Comm) 1163); as arbitrator in a restaurant takeover dispute; Brussels Regulation and conflicts (see e.g. Maxter Catheters v Medicina  1 WLR 349). ‘Commercial Barrister of the Year 2015’ (Lawyer Monthly). Brand Studio Ltd v St John Knits Inc  1 All ER (Comm) 1163 (severability of an unlawful proviso in a commercial agency contract to elect indemnity over compensation in favour of US principal). Philip Moser QC was nominated as ‘Tax Silk of the Year’ for 2017 by Legal 500. He is frequently instructed in indirect tax matters, mainly by HMRC. This includes a particular expertise in MTIC fraud, in which he did the first full post-Kittel trial (Calltel) and the subsequent test cases on the Kittel test (Mobilx; Blue Sphere Global; Calltel). British-American Tobacco (Holdings) Ltd v Revenue and Customs Commissioners –  SFTD 550 Excise duties – Penalty for facilitating smuggling –hand rolling tobacco – whether criminal charge – tribunal appeal jurisdiction: full or Wednesbury review – Burden of proof – Whether penalty notice lawful – Tobacco Products Duty Act 1979 – Human Rights Act – TFEU, art 30. Philip has wide forensic and advisory experience of professional negligence cases, principally those involving solicitors, especially where there are EU law or cross-border elements. Reported cases include Feakins v Burstow  PNLR 6, QBD: solicitors’ negligence case arising out of ECJ litigation – export of sheep – pre-paid export refunds – loss of a chance (lead counsel for solicitors). Brexit: ‘Once you trigger article 50, there is no way back’ podcast. Editor of ‘Making Community Law – The Legacy of Advocate General Jacobs at the ECJ’ (with Katrine Sawyer), Edward Elgar Publishing (2008) – for further details, please click here. Education: Robinson College, Cambridge; Vienna University; MA(Cantab); Inns of Court School of Law; Duke of Edinburgh Scholarship. Languages: German (bilingual); French (working knowledge). Professional Background: Research Associate, Centre for European Legal Studies (CELS), University of Cambridge 1996-1998; Supervisor in EC Law, Robinson College, Cambridge 1995-97; Editorial Board, European Law Reports 1999-; Editor, The European Advocate 2000-; Bar Council Representative to the Federation of European Bars 2001-2007; accredited as Mediator (College of Law); elected UK Council Member for the International Criminal Bar 2003-2007; Chairman, ICB Election & Constitution Committees, 2003-2007. Committees: Bar European Group Committee 1998-; International Relations Committee of the Bar Council 2000-; Bar Liaison Committee, Inner Temple, 2003-; UKAEL Committee, 2005-. Memberships: European Law Institute, 2012; Bar European Group; Europäische Anwaltsvereinigung (DACH); Association of German-Speaking Lawyers; UKAEL; European Circuit; South-Eastern Circuit; PNBA.